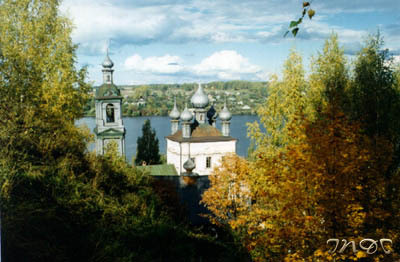 Information About Russian Region Ivanovskaya Oblast. Ivanovskaya Oblast is situated in the central part of the East European plain. In the south and southwest Ivanovskaya oblast borders upon Vladimirskaya Oblast, in the west and northwest - upon Yaroslavskaya Oblast, in the north - upon Kostromskaya Oblast, to the east and southeast of it lies Nizhegorodskaya Oblast. All the rivers pertain to the basin of Volga. The main rivers here are Volga with its tributaries Nerl, Unzha, Nemda, Mera and Klyazma with its tributaries Uvod, Teza, Lukh. There are more than 200 lakes (Sartysh, Rubskoye, etc.) in Ivanovskaya Oblast. The climate is moderate continental. The average temperature of January is 12 degrees below zero, of July - +18 degrees centigrade. Precipitations are about 600 mm per year. The oblast was formed on January 14, 1929. Area is 23,9 thousand sq. km. Distance to Moscow is 318 km. The center of the region is Ivanovo founded in 1871. The city is divided into 4 districts: Leninsky, Oktyabrsky, Sovetsky, Frunzensky. Such cities and towns as Ivanovo, Kineshma, Shuya, Vichuga, Furmanov, Teykovo, Rodniki, Yuzha are considered the centres of the cotton industry; Privolzhsk is the centre of the linen industry. The woodworking industry is highly developed here too (manufacture of details for the textile industry, houses and furniture). Ivanovskaya Oblast is proud of its art homecraft centres in Palekh and Kholuy. 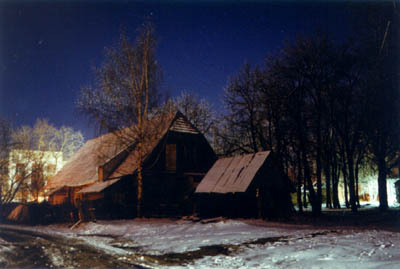 There are the Museum of the Tsvetayevs and the museum Levitan in Ples. Ivanovskaya Oblast is known for its theatres such as the Drama Theatre, the Musical Theatre and the Kineshma Drama Theatre named after A.N. Ostrovsky being the oldest provincial theatre of Russia opened on December 26, 1897. Its birth is connected with the great playwright who devoted more than 20 years to Kineshma. Here he worked as a Justice of the Peace and also studied local folklore, ethnography and dialects. Such factors as the geographical position, growth of industry, closeness of Ostrovsky's memorial estate and old associations with the Moscow Maly Theatre and its school in Kineshma contributed to development of the theatre in the city. There are lots of museums in Ivanovskaya Oblast. They are the Arts Museum, the State Local Lore Museum named after D.G.Burylin, the Ples State Hictorical, Architectural and Arts Museum, the State Museum of Palekh Arts, the Kineshma State Arts and Historical Museum and so on.